Once you’ve set up an affiliate marketing program, it is pretty much smooth sailing from there on. Finding affiliates is easier than most people think. 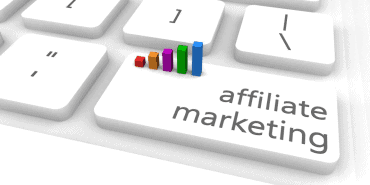 Try to make your affiliate marketing program as visible as possible. Include your affiliate links wherever you think that affiliates may find it conveniently—your website and social media accounts. The more people sign up for your affiliate program initially, the better. You need to state your terms clearly on your website, so that there is no ambiguity or confusion for affiliates. Things like commission, payment method and the duration of cookies should all be included in the terms. Be fair and generous with commissions. This will attract more and more people towards the program. Try 25% to 35%. If your product is too expensive, then try not to go below 10%. If you are interested in attracting certain affiliates who are very influential in your chosen niche, send them personalized invitations and, if possible, offers that are exclusive for them. Offer them gifts for making your first sale. If you are finding it hard to know influential affiliates, visit different websites and see which ones complement your product, and then send them invitations. Another way to connect with affiliates that are relevant to your niche is to use SEM. For this, you will need a descriptive and an attractive landing page, which prompts affiliates to sign up for your program. Never ignore communities on the social media and other platforms. They are a great place to connect with the right affiliates. You can also find events that are specifically conduced for affiliates. Go to these events for networking and you may come across affiliates that are interest in your products and services. Once you have a considerable network of affiliates, you will need to cut some of them out. That’s right! Ever heard of the 80/20 principle? It’s relevant to this industry too. You will notice that 20% of your affiliates are driving 80% of your revenue. Identify those affiliates and seek to build long-term relationship with them. You will also need to monitor the ones that are not bringing you significant results. Some of them will also be losing you money by asking for new landing pages, extensive stats and more commissions. Cut the ones who you think are more of a burden than a benefit and focus more on the 20%. If you don’t have an affiliate marketing program for your company yet, visit LeadDyno. We have made affiliate marketing simple and affordable for all small e-commerce businesses, by introducing an easy to software and mobile app.